The British judicial repression shows the class nature of bourgeois rule and how the law is instantly changed—in mid-play if necessary— to protect the system. Non-impartial role of the state made clear to all. The British Guardian says, "Too heavily punished? Perry Sutcliffe-Keenan and Jordan Blackshaw." The state clampdown against working class youth in Britain continues unabated. On Tuesday, crown court judges in England handed down long jail sentences to two young men for posting comments on Facebook. Jordan Blackshaw, 20, and Perry Sutcliffe-Keenan, 22, were not involved in any disturbances. But at Chester Crown Court they were sentenced to four years imprisonment for “intentionally encouraging another to assist the commission of an indictable offence under sections 44 and 46 of the Serious Crime Act 2007”. Blackshaw was arrested after he set up a Facebook “event” called “Smash Down in Northwich Town”. The court was told that Blackshaw’s event requested that people meet at a local McDonald’s restaurant for the purpose of rioting. The Crown Prosecution Service (CPS) claimed that notice of the event sparked a wave of panic in Northwich, even though there was no evidence for this assertion and there were no disturbances in the town. It emerged that police were following Facebook pages when they saw Blackshaw’s posting and went to the restaurant, where he was arrested. Sutcliffe-Keenan created a Facebook page titled “The Warrington Riots” on August 9. It was claimed that this page also “caused a very real panic”, although again no disturbances resulted from the posting. Sutcliffe-Keenan himself removed the page within 24 hours. In sentencing Blackshaw and Sutcliffe-Keenan, Judge Elgan Edwards invoked the right-wing hysteria against “criminality” that has been whipped up by the government, all of the parliamentary parties, the police and the media. Edwards described Blackshaw as “evil” and added, “This happened at a time when collective insanity gripped the nation. Your conduct was quite disgraceful and the title of the message you posted on Facebook chills the blood”. The fate of Blackshaw and Sutcliffe-Keenan underscores the degree to which the government, judiciary and police are dispensing with democratic norms. The two were arrested on August 9. They have been tried and subjected to vindictive sentences in just one week, without any genuine regard for due process. Since the riots began on August 6, more than 2,770 people have been arrested in an unprecedented police dragnet. Over 1,200 of these have already been brought before the courts. Of these, some 64 percent have been remanded into custody. Last year’s remand rate at magistrates’ courts for “serious offences” was 10 percent. In London alone, 1,733 arrests have been made, with 1,005 people now charged. Many have been sentenced to jail for up to six months for petty offences. Many others have been referred to the crown courts, which can impose up to 10 years imprisonment for rioting. A 22-year-old man appeared before a magistrates’ court in Manchester charged with stealing two scoops of ice cream and a cone from a patisserie during disturbances in the city. He has been referred to crown court after the judge warned, “I have a public duty to deal swiftly and harshly with matters of this nature”. Two of the victims of his sentencing had not stolen anything; one was convicted of handling stolen goods and the other of “theft by finding”. The Daily Mail reported that Gilbart “unveiled a sliding scale of tariffs under which riot leaders will be jailed for at least eight years, burglars who broke into shops to steal for between four and seven years, and arsonists between three and seven years. Even those who claimed they found stolen goods abandoned on the street should be jailed for up to four years”. Such sentences are transparently political. They are being handed down under government instruction and their aim is to intimidate workers and young people. The chair of Camberwell Green magistrates’ court in London, Novello Noades, said, “Our directive [from Her Majesty’s Courts and Tribunals Service] for anyone involved in the rioting is a custodial sentence”. Noades made the comment as she jailed a father of three for six months. The man was imprisoned even though he had merely found looted goods in rubbish bins near his home. She later said she didn’t mean to use the term “directive”. On Tuesday, acting Metropolitan Police Commissioner Tim Godwin told Parliament’s Home Affairs Committee that he and other senior officers had discussed shutting down Twitter “a few times”. “I contemplated seeking the authority to switch it off”, Godwin said. “The legality of that is very questionable”. Nevertheless, he said closing down social messaging sites “is something we are pursuing as part of our investigative strategy”. The fact that the police were discussing such illegal steps aroused barely a flicker of concern from the parliamentary committee. The committee’s chair, Labour MP Keith Vaz, said social media had allowed “people to turn up at very short notice to demonstrate and riot”. He added, “We should look at whether we should give power to the police to order social media sites to behave in a certain way”. Reports have emerged that police broke into the encrypted BlackBerry Messenger (BBM) on the mobile phones of people arrested during the first day of the riots. According to the Guardian, police “were able to use details gained from the seized phones to give officers ‘live time monitoring’ of BBM and also Twitter”. Everything points to the police implementing a well planned operation almost immediately after the riots began on August 6. The disturbances were triggered by a police attack on a peaceful protest over the murder of 29-year-old Mark Duggan, who was shot twice by police firearms officers on August 4. The government also recruited the intelligence service MI5 and the giant eavesdropping national security centre GCHQ to access electronic communications. MI5 is officially tasked with protecting national security from espionage and terrorist threats, including “weapons of mass destruction”. The fact that working class youth are now considered a threat to national security reveals the acute state of class relations in Britain. 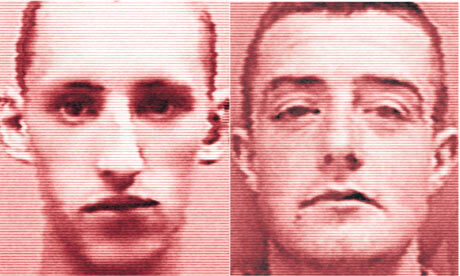 Prime Minister David Cameron praised the sentences against Blackshaw and Sutcliffe-Keenan as “very good”. “What happened on our streets was absolutely appalling behaviour and to send a very clear message that it’s wrong and won’t be tolerated is what the criminal justice system should be doing”, he said. Blackshaw and Sutcliffe-Keenan did not do anything “on our streets”. This is no matter for Britain’s ruling elite, which is now seizing on the disturbances to censor social media networks. The hypocrisy and double standard are brazen. When Twitter and similar sites are used in other countries to organise protests against governments deemed antagonistic to British imperialist interests, such as Iran, the British government and media hail the power of the new communications tools and denounce the efforts to suppress their use. When the same sites are used to express the hostility of British workers and youth to the government at home, they are immediately subjected to a clampdown. Posted in AMERICAN BRAINWASH, ANNOTATED NEWS. It’s important to note that a great deal of the world’s social decomposition—in both Britain, the rest of Europe, and of course America, has resulted from the United States own influence on world events since the end of WW2. Had this nation aggressively pursued progressive policies, it’s unlikely that we would be seeing these kinds of desperate situations everywhere. After all, the Brits have long been an appendage to American power.